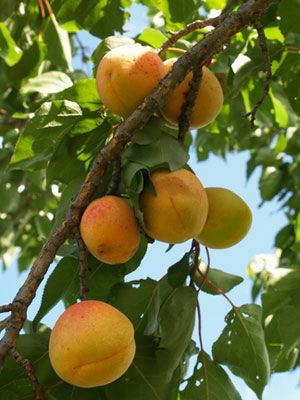 Apricots need full sun to limit disease and produce high quality fruit. Basil, Tansy, Garlic and Asparagus. Corridors within the orchard that are planted with clovers and other legumes contribute to soil fertility and attract pollinators. Prune apricots in late winter or early spring. Healthy apricot trees will bear for ten to fifteen years or more.